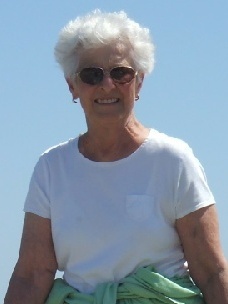 Rosemarie E. Tigue (nee Blozay) age 77. Beloved wife of James; dear mother of Jim, Jeff (Karen) and Elizabeth (Neil) Thibodeaux; grandmother of Angela, Grace, Edison, Sophia, Gabrielle and Neil; great-grandmother of Makala and Maleaya; sister of Pat Holub, Dorothy Carlin and Carol Hayes. Rose loved spending time with her grandkids, was an avid reader, gardener and loved the Cleveland Cavaliers. Per her wishes no services will be held. Contributions may be made to Lakewood Public Library Foundation or Cleveland Botanical Gardens. Loved her she was a great woman. Will always remember aunt Rosie for her classiness. Thankful for the past few summer pool parties at aunt Carols where we all kinda reunited. Sorry for this great loss of a beautiful woman. Deepest sympathy to all those close to her. Godspeed Aunt Rosie. Jim, Jeff and Elizabeth please accept our condolences to you and your families. Your Mom was one of the first people we met when we moved to St James parish. She made me feel so welcome. I remember she and your Dad driving us to CYO basketball games. She was always so welcoming when we visited your home.